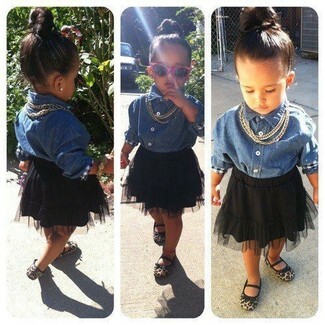 Your darling will look adorable in a blue denim long sleeve shirt and a black tulle skirt. Tan ballet flats are a good choice to complement this look. 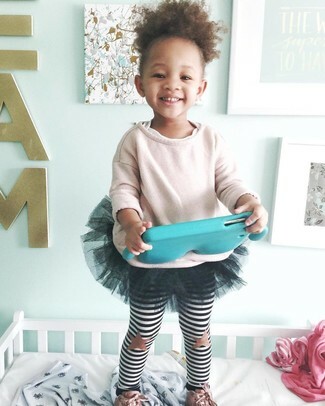 Suggest that your mini fashionista dress in a pink sweater and a black tulle skirt for a glam and trendy getup. The footwear choice here is pretty easy: round off this outfit with pink sneakers. 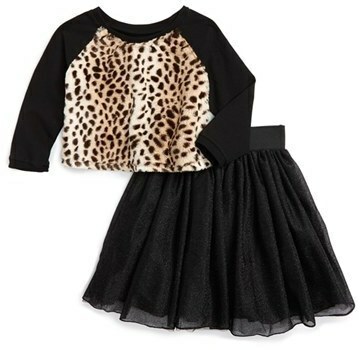 Suggest that your tot reach for a white sweater and a toddler girls pippa julie faux fur sweater tulle skirt set for a beautiful casual get-up. This outfit is complemented really well with black boots. 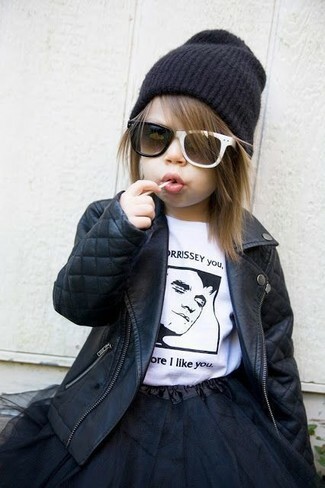 Suggest that your little one team a black leather jacket with a toddler girls pippa julie faux fur sweater tulle skirt set to create a smart casual look.